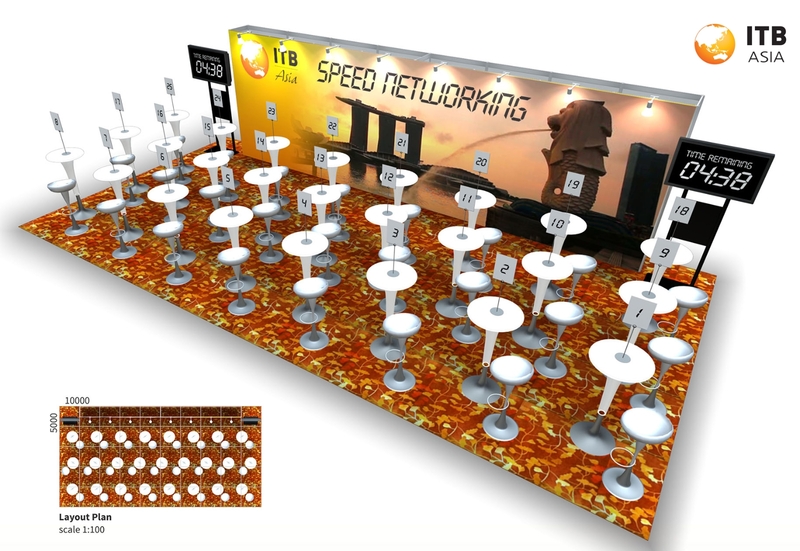 For the first time, ITB Asia is launching the MICE & Corporate Speed Networking platform for you to meet potential clients in the shortest amount of time. Establish the right connections with MICE and corporate buyers for your business via this opportunity. During the ITB Asia MICE & Corporate Speed Networking, you (the exhibitor) and buyers will have five (5) minutes mini-meetings to discover if you have similar business interests. You will be entitled up to twelve (12) mini-meetings during the one (1) hour session. Potentially meet up to 30 buyers! cards. Keep your meetings quick, succinct and within the stipulated time. The objective of the session is for you to arrange appointments and meet the people that matter most to your business in the shortest amount of time. Download the registration form via the clickable link below.